At launch, which was Sept. 12, 2016, Niagara News Source is primarily the work of Joseph Kissel, a reporter, photographer and editor based in Niagara County. “The most important aspects of Niagara News Source will always be its independence, providing a distinct alternative to the news-media scene in Niagara County, and a focus on the Buffalo-Niagara region,” said publisher and editor Joseph Kissel. Community correspondents, especially in the area of school districts, are being sought. Kissel was educated at St. Joseph’s Collegiate Institute in Buffalo as well as Syracuse University at the S.I. Newhouse School of Public Communications. 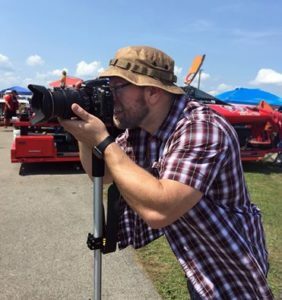 He has worked as a writer and editor for numerous publications, including The Hollywood Reporter, Muscle & Fitness Magazine, Forever Young, The Grand Island Record, Lockport Union-Sun & Journal, Niagara Falls Reporter, Artvoice, Niagara Gazette, The NT Sun and Lockport Star.